Sennheiser – you have done it again. We wrote about the Sennheiser Orpheus in 2009 , when these were the most expensive headphones ever. The uncompromising philosophy of the Orpheus remains in the new HE1. Or perhaps its the price that will draw tears? 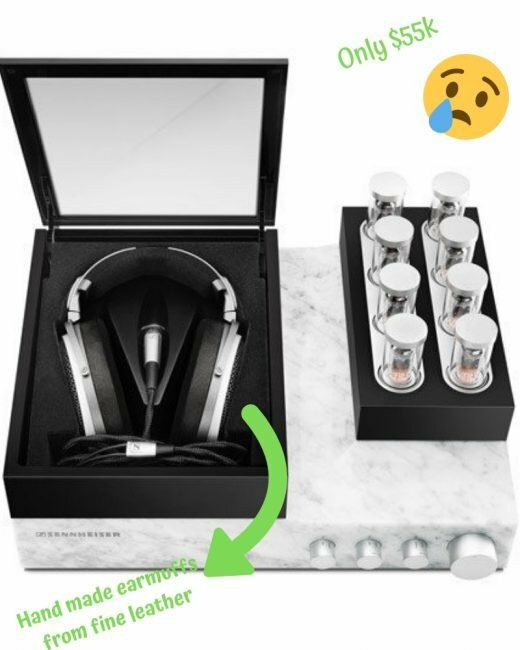 The Sennheiser HE1 leave you wondering if the designers came straight out of ancient Rome what with their love for marble and brass. 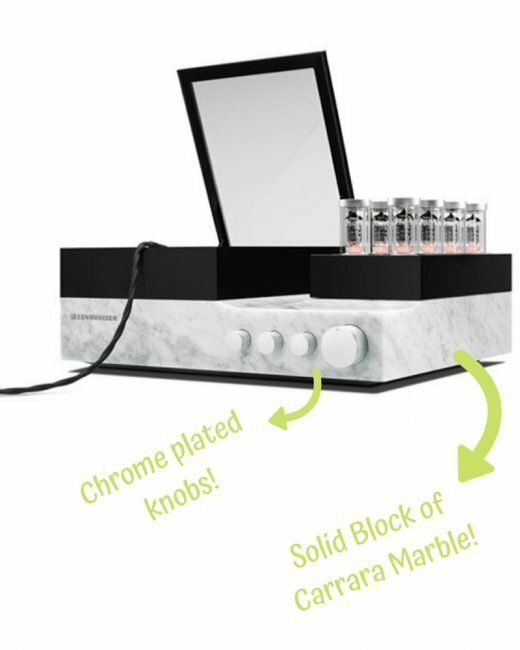 How else do you define an amplifier that sits on a housing crafted from glass, and a solid block of Carrara marble? The same stone that Michelangelo used to create his sculptures during the Renaissance. The control dials aren’t what you’d expect either, each one is milled from a single piece of brass and then plated with chrome. You can’t help but be thoroughly impressed even before you switch on the sound. The HE1 no longer has a cable that goes from the amplifier to the headphones. Instead, the high voltage amplifiers integrate straight into the ear cups. 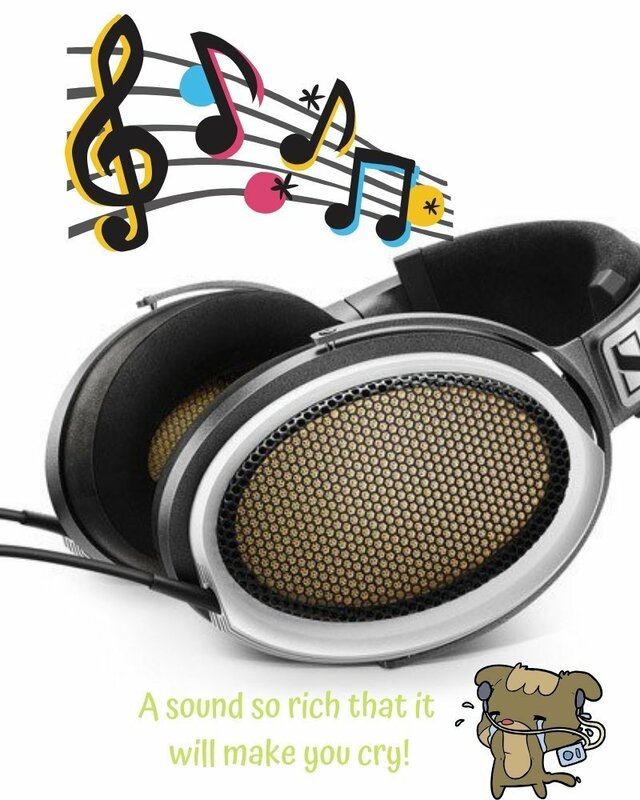 This makes the HE1 the world’s first electrostatic headphones to do so. Precious metals like gold & silver are also some of the best conductors of electricity. So the HE1 actually uses these materials for their physical properties instead of the bling factor. The HE1 makes use of gold and silver by having gold-vaporised ceramic transducers. It also has well 99.9 % silver-plated OFC cables resulting in optimal conductivity. The ear pads are a work of art in themselves. They have a snug fit, are handmade with fine leather & a soft allergen free velour. The ear cups are precision machined out of solid aluminium. Four channels in parallel are used for each stereo side to enhance accuracy and decrease distortion and noise level. The HE1 also gives you the best of both worlds by having both tube amplifiers and transistor amplifiers thanks to a patented design. Where can I listen to the Sennheiser HE1?